With sun kissed skin and beachy waves there’s no other time that you feel more naturally beautiful than on holiday. It so refreshing to not be a slave to your make up bag. I find that the summer is a wonderful time to go back to basics with my beauty regime. 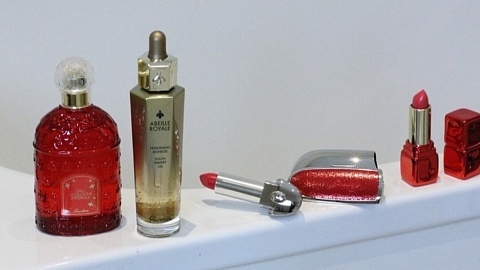 To do this, I’ve collected together my favourite holiday beauty products to share with you. These essentials give me the freedom to enjoy every second of my holiday, while the peace of mind that I’m still looking and feeling my best. It amazing how a few simple products can make such a massive difference. I think mascara has to be the most essential part of any girls make up bag. It certainly is mine! I’m always a big fan of a mascara that can lengthen while thickening lashes, and I believe I’ve found the perfect one. I feel it instantly transforms my lashes, giving them the perfect curl and making them appear bolder. I don’t even need to take my lash curler with me! Although one of the best things I like about this mascara is that its buildable, so you add extra layers in the evening without it clumping together. Here’s a little beauty insiders secret all the way from Korea. If you are after flawless looking skin and lets be honest who isn’t? Then this is your new hero beauty product. It’s an amazing 2 in 1 hybrid moisturiser that combines intense hydration with a mattifying finish. I apply mine everyday as a moisturiser, and I don’t feel the need for a separate makeup base as well. Which is perfect on holiday when you don’t want to have the heavy makeup feeling. I love how it make my skin feel and look smoother, creating a shine free yet fresh complexion. I really try and let my skin breath on holidays however this is perfect to give you that little bit of skin confidence without the hassle of a full face of makeup. When you’ve been out and about in the sun all day there’s nothing better than getting a shot of icy coolness from this body gel. The cooling menthol infused gel glides so effortlessly on to my skin, giving me an instant boost of freshness. I absolutely adore this gel, so much lighter than a cream and leaves my skin feeling silky smooth and well hydrated. For those extra hot days I popped my jar in the fridge to give me a really intense refreshing moment. A true holiday beauty hero! I’ve been using this body lotion for many years and always get compliments on how soft my skin is. I have to say it’s thanks to this wonderfully rich, yet light in application, that leaves my skin beautifully moisturised and healthy nourished. I love the gentle zesty aroma it leaves on my skin. It’s gently uplifting, yet subtle enough that it doesn’t interfere with my perfume. After every shower or bath, I always enjoy applying this energising lotion. It’s a perfect pick me up on those sleepy mornings to help awaken the senses with the aroma of freshly squeezed lemons. I love wearing lipstick, adding a beautiful pink lip can transform your whole outlook on the day! I’m in one with this shade from the new Miss Sicily range from D&G Beauty. All the colours in this range have been inspired by the femininity of Sicilian women, with traditional Sicilian names. Which of course makes them the perfect holiday lipstick. I love how hydrating they are, even after wearing all day in the sun. 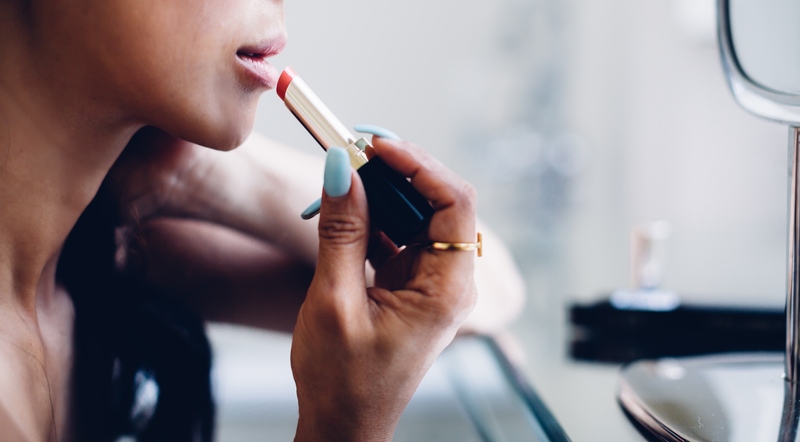 I think they are the perfect handbag lipstick that will see you from day to night. I like to build up the colour by applying extra layers in the evening, giving a beautifully seductive dewy finish.